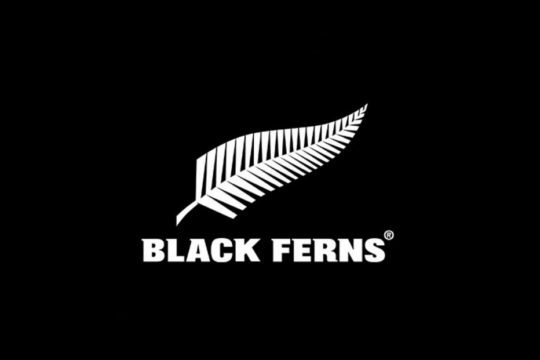 Six players have emerged from the inaugural Red Bull Ignite7 talent search in Auckland to claim a place at the 2019 All Blacks Sevens and Black Ferns Sevens National Development Camp. 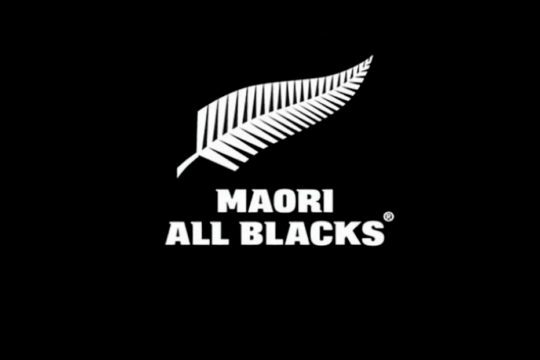 Three women’s players Isla Norman-Bell, Mererangi Paul and Kalyn Takitimu-Cook and three men’s players William Warbrick, Chay Fihaki and Jacob Kneepkens were picked from 96 hopefuls an intensive four days culminated in a one-day tournament at Trusts Arena, Waitakere. 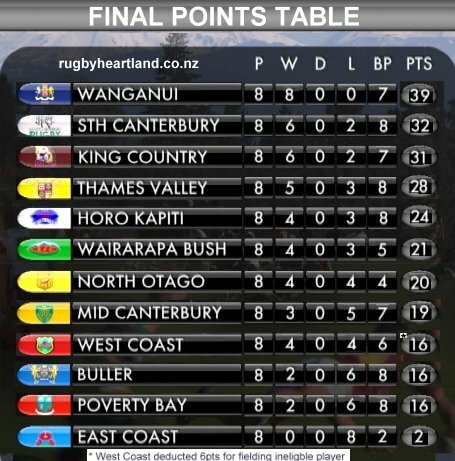 New Zealand Sevens High Performance Manager Tony Philp said the players chosen epitomised the Red Bull Ignite7 concept. “These athletes come from varying backgrounds and have varying levels of rugby experience, but all of them stepped up to the mark to force the selectors hands over the past four days. 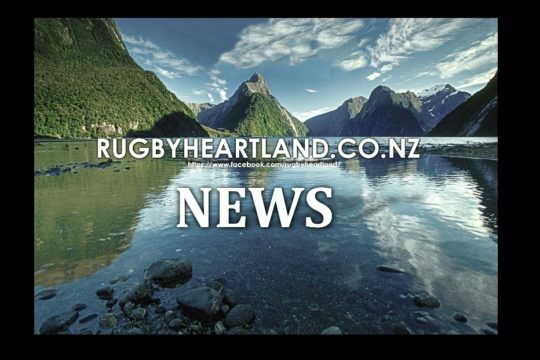 Pint-sized Aucklander Norman-Bell (18) and hulking Kawerau lad William Warbrick (20) epitomised a programme that provided opportunity for all. Howick College product Norman-Bell, at 54kg, and from a touch rugby background showed that sevens is truly a sport for all sizes as her skill consistently shone for the women’s Inferno team she led to a 22-0 win in the tournament Final. Warbrick, who has dabbled in AFL and rugby league, used all of his 105kg, 192cm frame to power his way into the selectors favour as part of the men’s Bolt team. 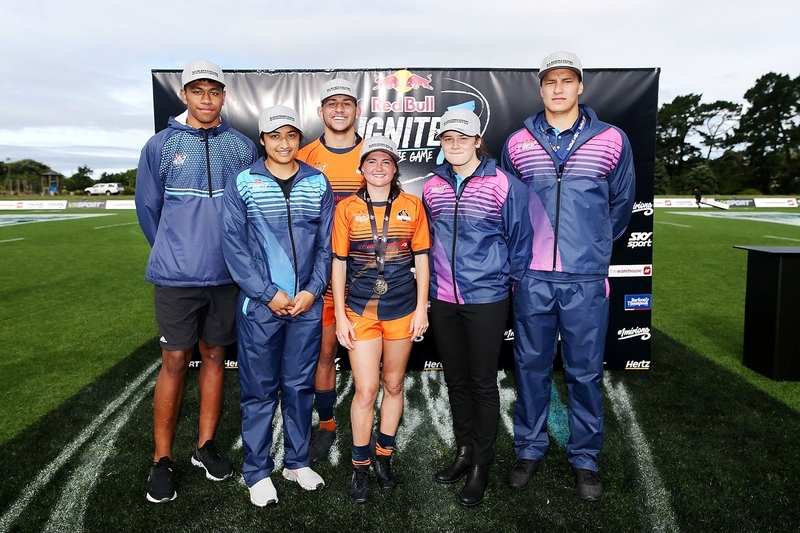 Northern Mystics netball representative Paul and Takitimu-Cook highlighted Red Bull Ignite7’s search for cross code talent as they continued their stellar rise in sevens. Paul, originally from Whakatane, followed her little sister Mahina, also at the tournament, into rugby less than a year ago, but already looks a seasoned rugby player. Takitimu-Cook, who took up rugby two years ago after her family shifted from Papakura to Palmerston North, also shone. Kneepkens, 17, is another product of the Francis Douglas Memorial College factory that produced the Barrett brothers, while Fihaki has already forged a reputation as a player of some promise at Sacred Heart College in Auckland. Philp said the door was not closed on the players who had missed out. “For some of these players this was just the start of their sevens journey in terms of high performance. We had a number of players, particularly in the women’s teams, who had very little experience of rugby coming into the week. Red Bull Ignite7 also proved a valuable testing ground for several new law variations and new initiatives. Rolling subs allowed up to 12 replacements per game, while tries scored in the Hertz Zone behind the posts did not require conversions to bank seven points. 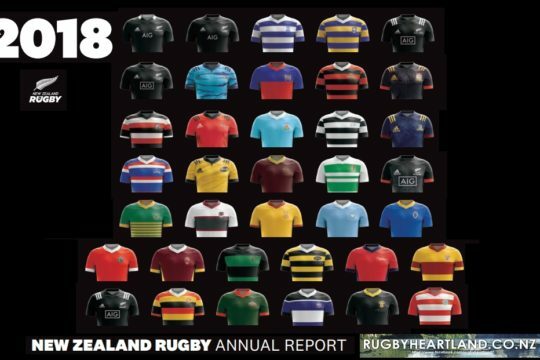 Player statistics, including heart rate, body impacts and number of sprints per game, were all available to coaches and fans in real time via on the Red Bull Ignite7 website www.redbullignite7.co.nz thank to VX Sport.